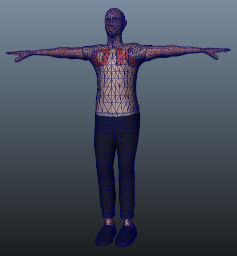 See in Glossary, you need to have a rigged and skinned humanoid type mesh. See in Glossary generally consists of polygons in 3D modeling software or converted to polygon or triangulated mesh, from a more complex mesh type before export. See in Glossary hierarchy is known as rigging. 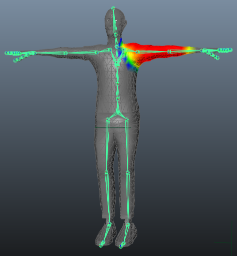 Model in a T-poseThe pose in which the character has their arms straight out to the sides, forming a “T”. 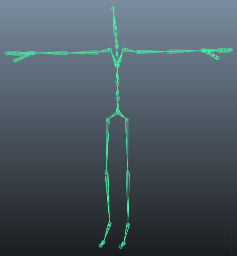 The required pose for the character to be in, in order to make an Avatar. See in Glossary if possible. This gives you space to refine polygon detail where you need it (such as the underarms). This also makes it easier to position your rig inside the Mesh. See in Glossary, name your bones in a way that reflects the body parts they represent. For example, “LeftArm” and “RightForearm” make it clear what these bones control.